NFL players are seen by many as inspirational figures. And even star athletes have people who inspire them. For San Francisco 49ers Defensive Tackle Earl Mitchell, one of his inspirations was 8-years-old. Like Mitchell, Connor Michalek was a huge fan of the (WWE). In 2012, young Connor was suffering from medulloblastoma — a rare form of cancer — and asked to meet his idol: WWE superstar Daniel Bryan. 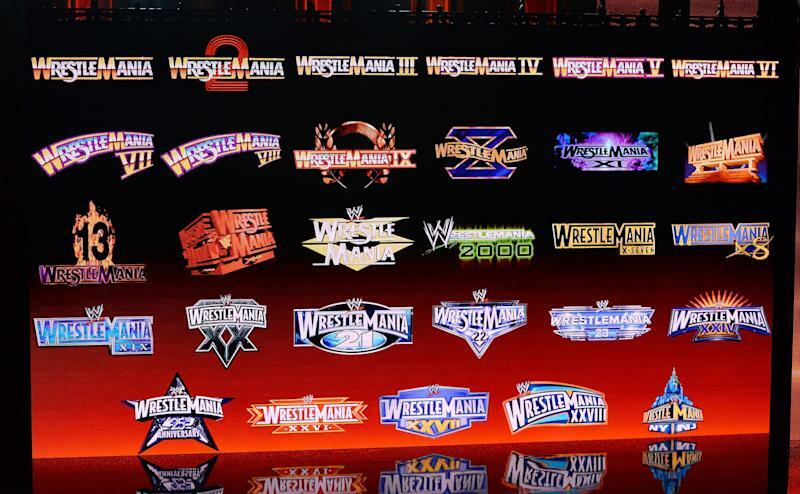 The WWE not only granted his request but also invited Conor and his family to meet the entire WWE roster and attend the company’s marquee Wrestlemania event. Word of Connor's story would soon spread, and the 8-year-old would become an inspiration to WWE fans around the world before his death in April of 2014. WWE honored the boy, who was affectionately known as “Connor the Crusher,” by posthumously inducting Connor into the WWE Hall of Fame and created Connor’s Cure, a charity at the Children’s Hospital of Pittsburgh. Since 2014, the foundation has raised more than $3 million and has helped hundreds of families that have been affected by pediatric cancer. WWE took the efforts of Connors cure mainstream when it partnered with the NFL. 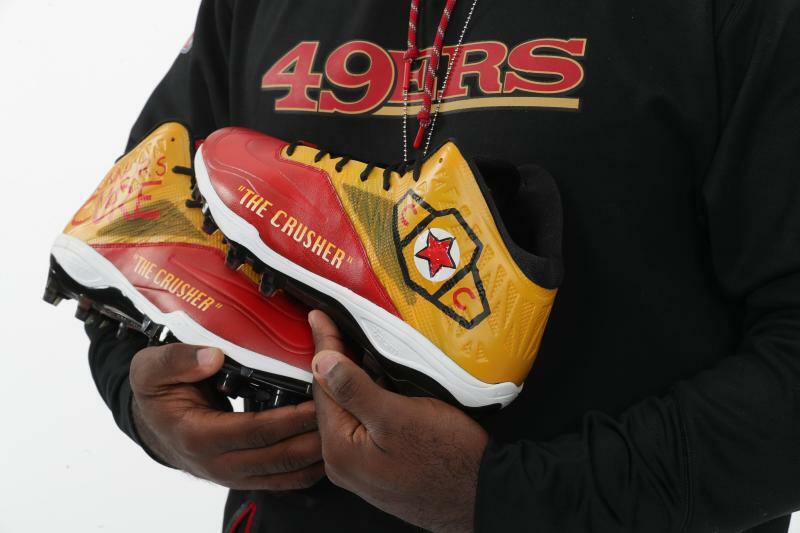 An initiative called “My Cause, My Cleats” involves NFL players wearing specialized cleats to honor a meaningful cause. 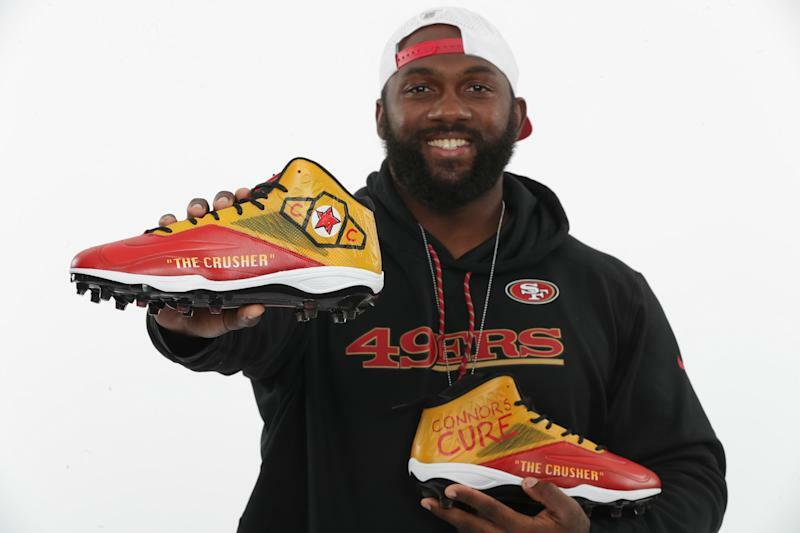 Mitchell chose to wear cleats honoring the Connor's Cure foundation in the 49ers week 15 matchup against the Seattle Seahawks. After the 49ers overtime victory on Sunday, Mitchell and fellow 49er teammate George Kittle attended the TLC WWE pay-per-view event at the nearby SAP Center in San Jose. Kittle and Mitchell were seated at ringside, where Mitchell showed off his Connor’s Cure cleats. 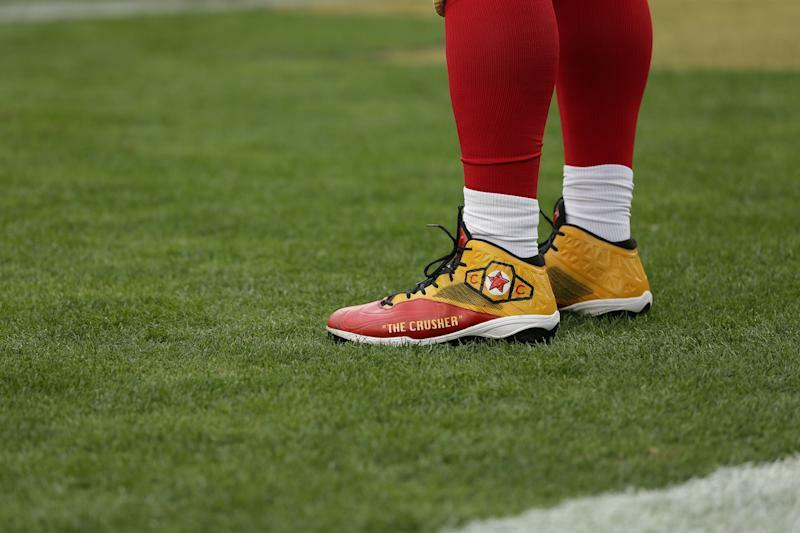 The cleats which were made by designer TRAGIK MCMXCIII are red and gold and emblazoned with the “Connor's Cure” logo and Connor’s “The Crusher” nickname. They will be sold at auction and all of the proceeds will go to the “Connor's Cure” foundation.